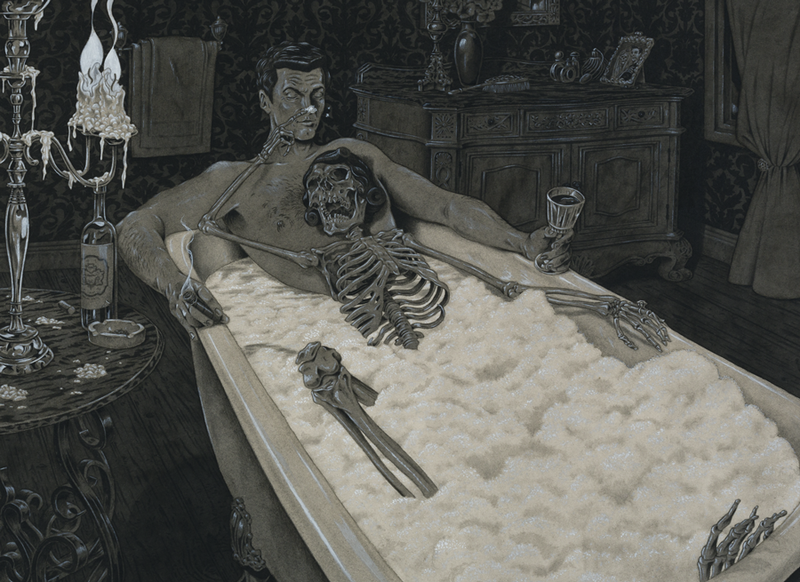 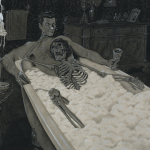 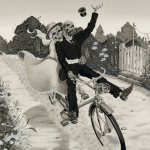 Two star crossed skeleton lovers, Godfrey and Josephine, find the path of true love is just as rocky in the afterlife, leading them a merry and tragic dance. 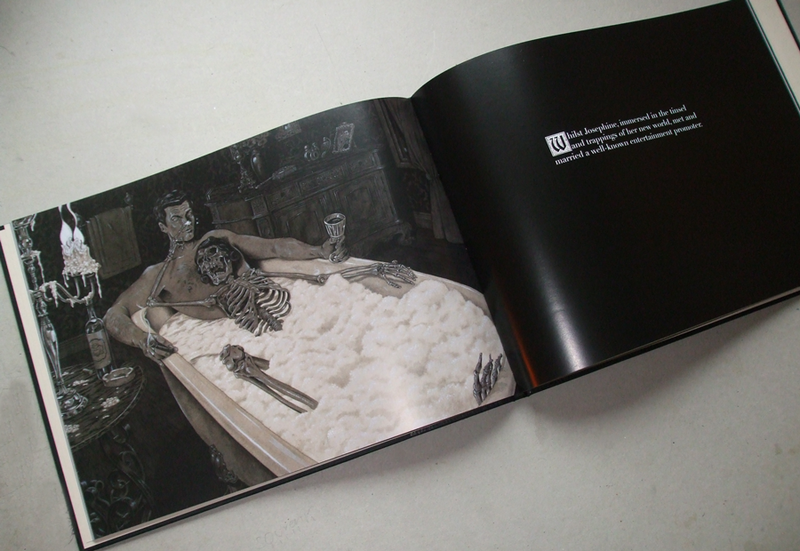 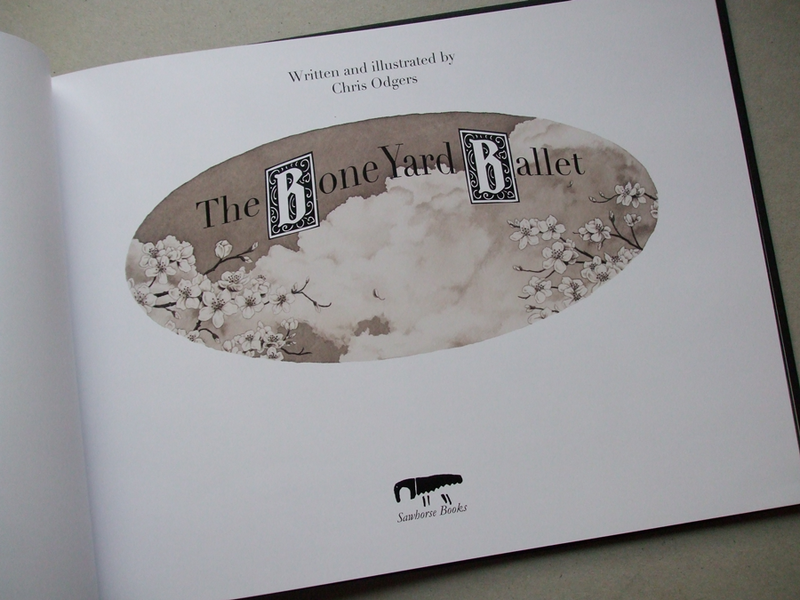 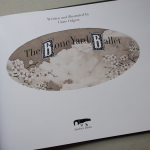 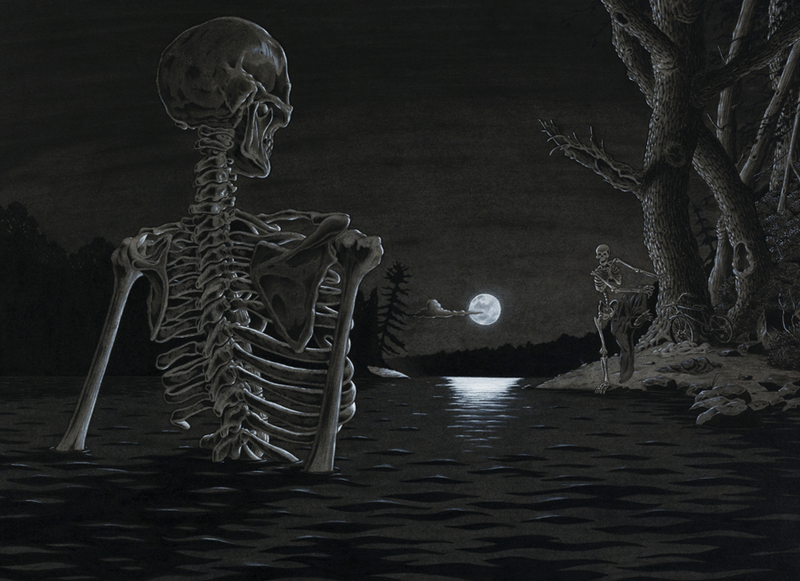 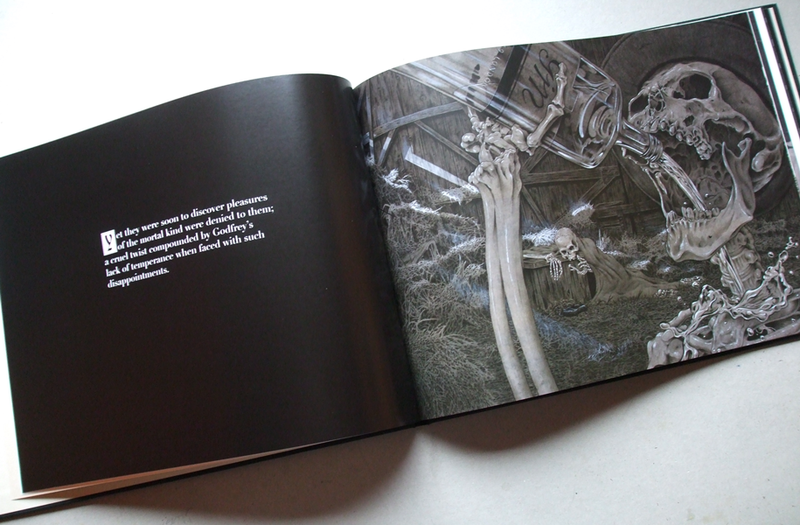 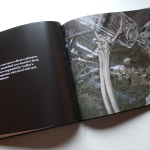 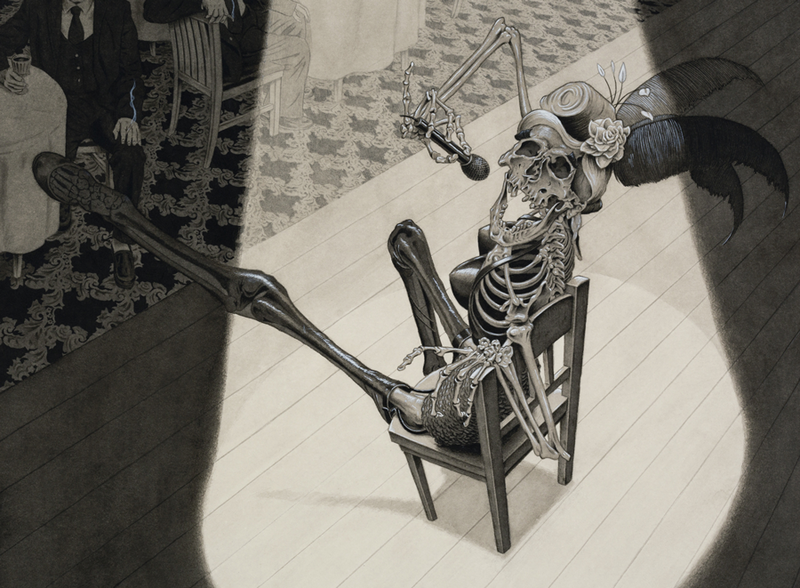 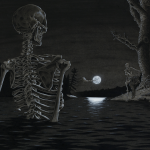 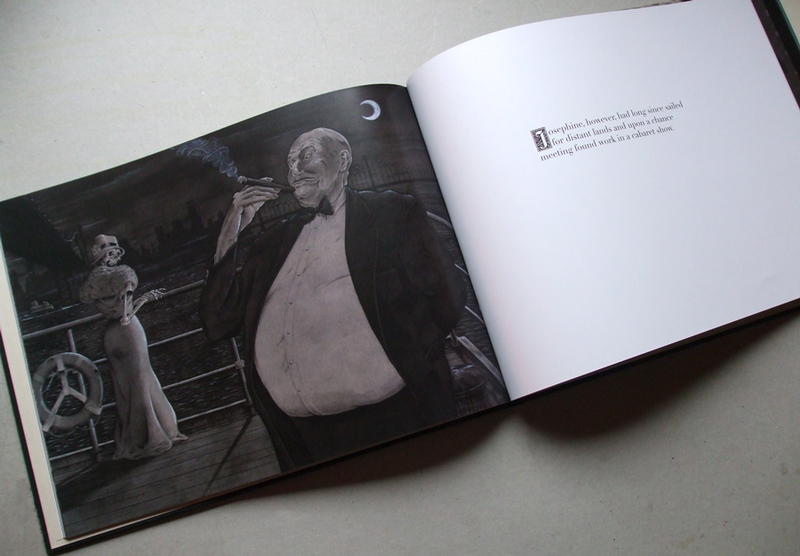 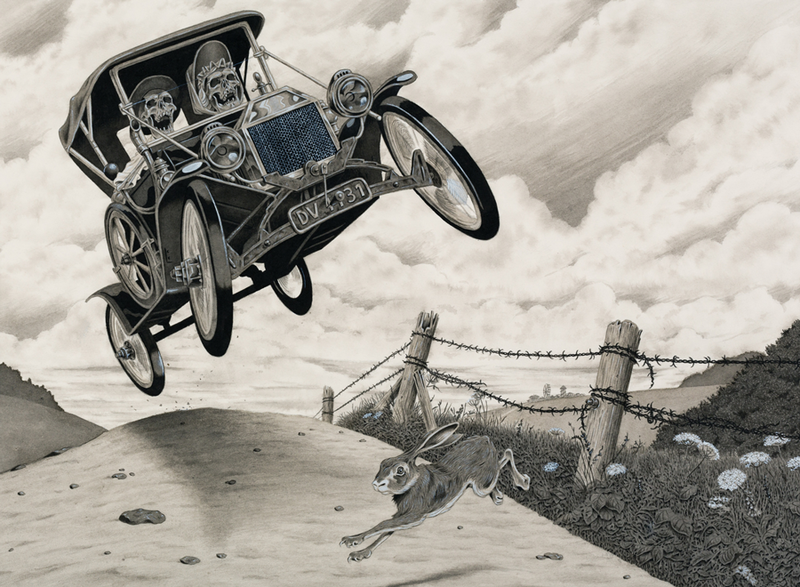 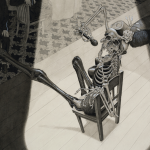 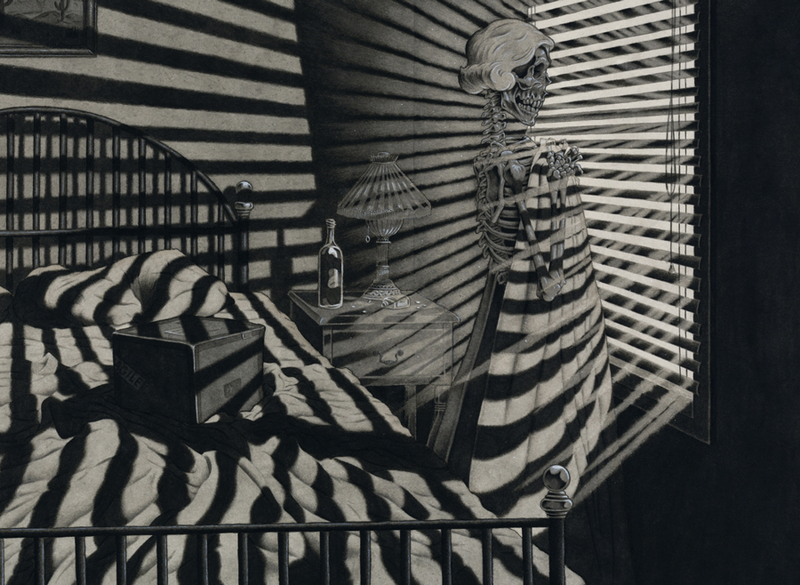 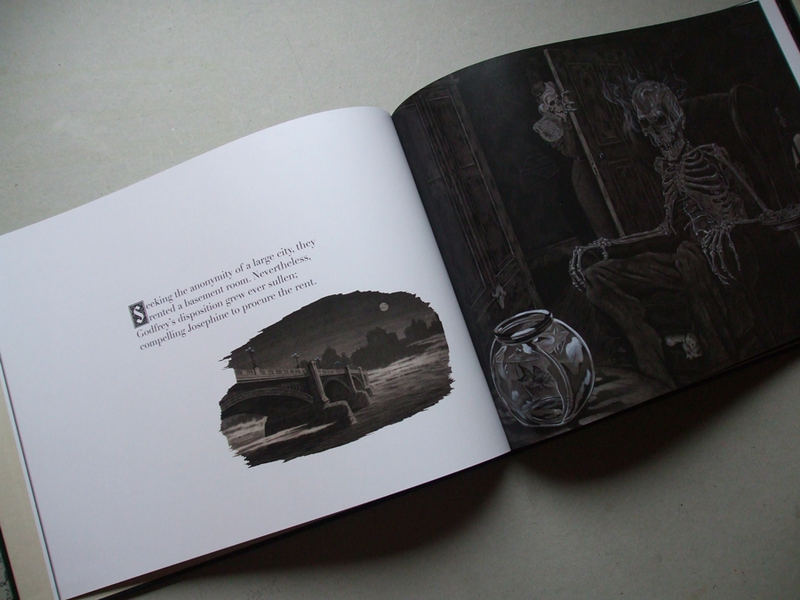 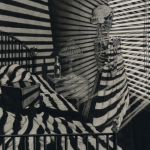 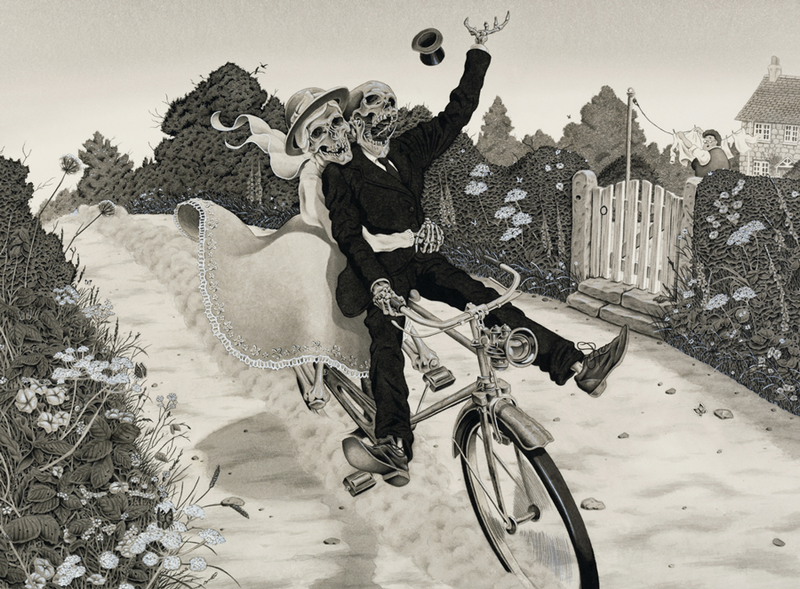 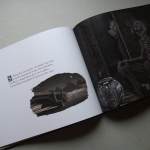 ‘The Bone Yard Ballet’ is a 40 page hard backed picture book, measuring 315mm x 230mm. 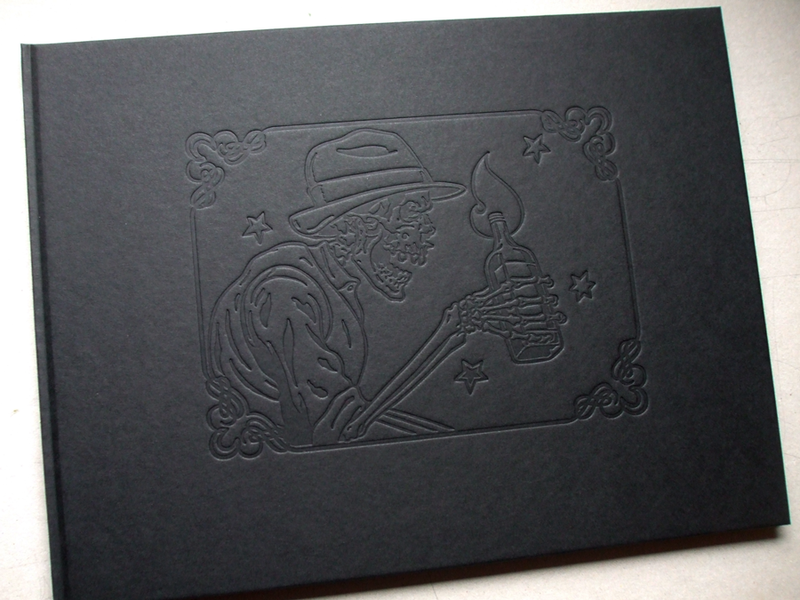 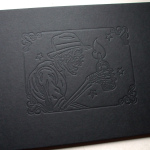 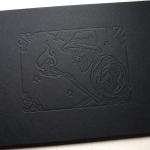 The front and back cover are embossed with the two skeletons Godfrey, on the front, and Josephine on the back. 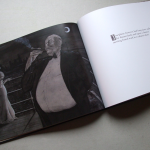 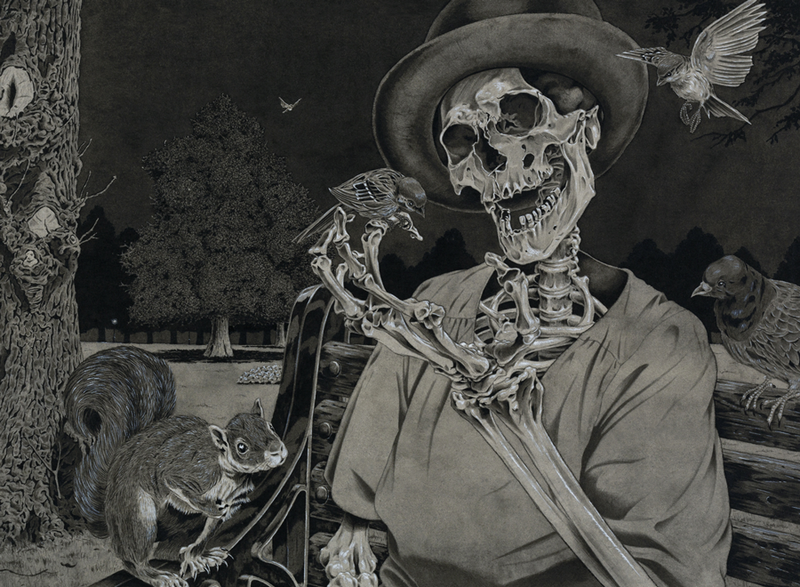 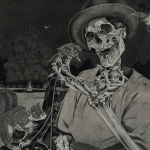 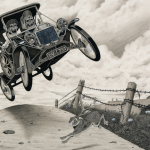 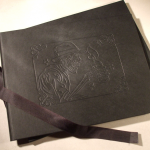 Featuring 20 paintings, 14 of which are full page, printed on quality matt silk paper. 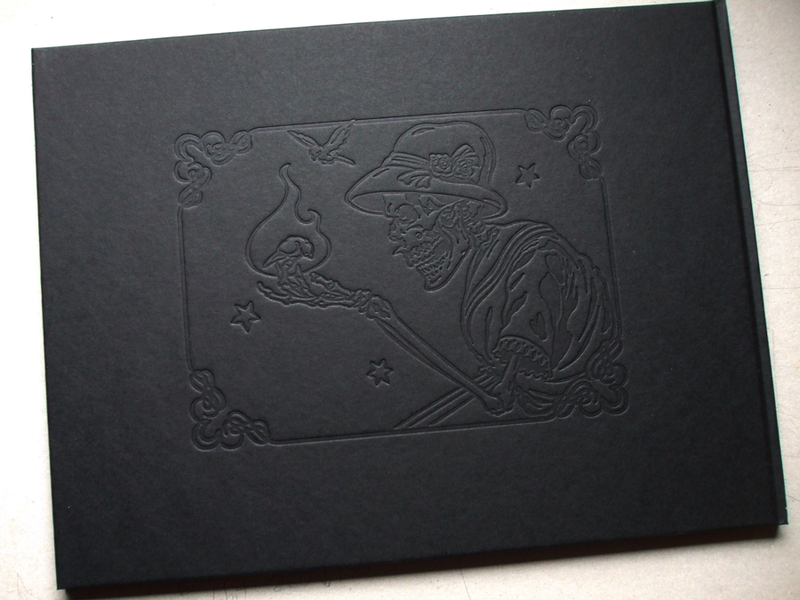 Limited to a 1000 print run, 100 of which are slip cased, signed and numbered. 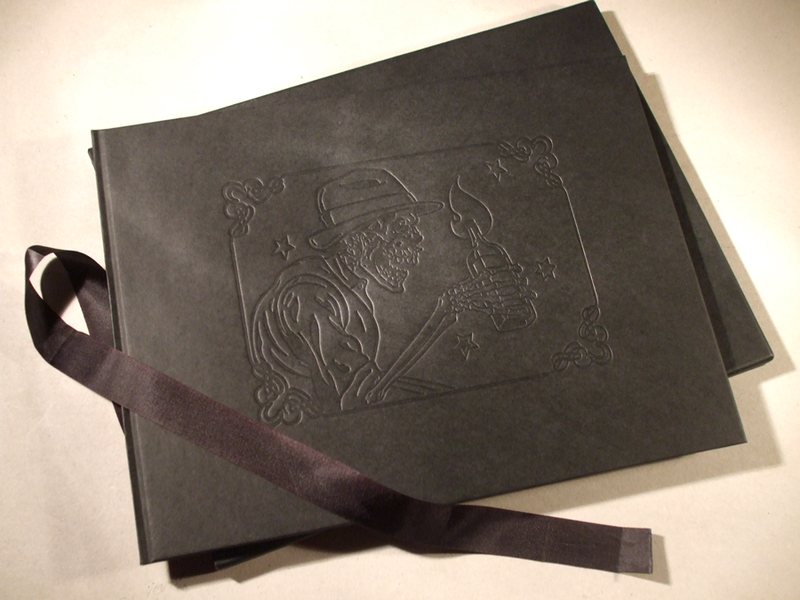 The standard edition is £14.99 and available through this website, other on line shops as well as high street stores.